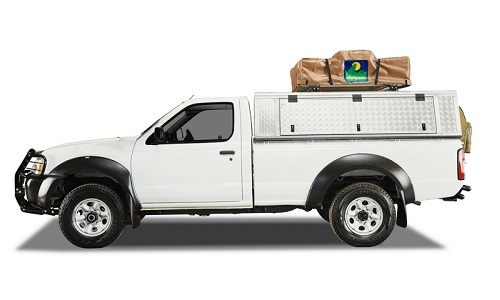 This Single cab is ideal for a comfortable and refined safari getaway. The Toyota Double Cab is ideal for your family getaway or road-trip with your friends. Sleep this way, sleep that way. 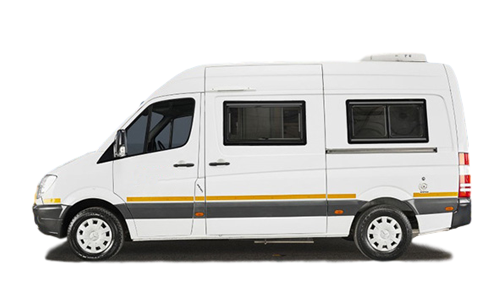 Whether you prefer a double bed or two singles, the 2 berth motor-home offers you the flexibility to choose. Let take your world with you. Don’t leave home without your beloved golf clubs or fishing rods. 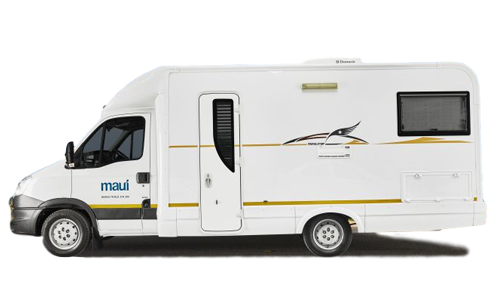 In this 4 sleeper motor-home, your family can traverse the African continent in style. With more than enough room for your luggage, you will effortlessly camp in style with everything you need to enjoy your tour. The 6 berth River motor-home has been designed for the family. With your rental, you will travel and see the scenery and the kids will be safely buckled up in the back and entertained. We’ve selected some of the top 4×4 routes in Southern Africa for your next self-drive safari holiday. Click on one of the itineraries below to get more info. When you arrive at Maun International Airport, you will be able to collect your 4WD land cruiser and proceed to drive to your lodge of choice. Proceed to travel under your own arrangement from Maun to Xakanaxa Campsite. The campsite has a ablution block, showers, hand basins and toilets. It is also the best location to enjoy the wildlife of the Moremi Game Reserve. After breakfast, proceed to Khwai Campsite near the Khwai Concession. Situated on the banks of the Khwai River. The campsite is perfect for wildlife viewing and has a ablution facility. Journey from Khwai to Savuti, the area which forms part of the Chobe National Park. The Savuti campsite is located along the Savute Channel and is popular for being the ultimate campsite for safari enthusiasts. The sit has two ablution blocks with hot and cold running showers. After breakfast, journey from Savuti to Ihaha campsite, which is located on the Chobe River. Home to the highest concentration of elephants in Africa, here you will be able to see these majestic animals coming to enjoy the river bank. Here, you will be able to leisure through the park to the town of Kasane. When you arrive at Chobe Safari Lodge, located on the banks of the Chobe River, return your rental vehicle and enjoy the rest of your day at leisure. At the lodge, you have the option to enjoy the game drives or a tranquil boat cruise down the river. After breakfast, continue the journey to cross the border into Zimbabwe. 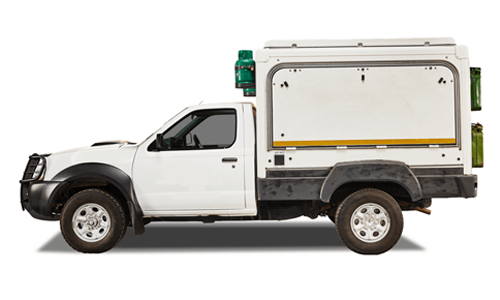 Your rental vehicle will be required to be returned in Botswana, or it can be collected at the lodge. 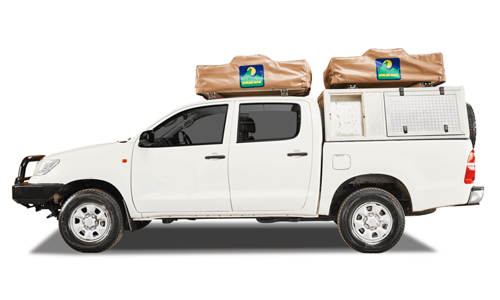 You may than enjoy a scheduled transfer to the Victoria Falls. You will be transferred to Victoria Falls International Airport on your own account, in time for further arrangements. After arriving at the Hosea Kutako International Airport, you will proceed via mountainous terrain to Namibia’s capital city, Windhoek. The city of Windhoek is known for its European flair and peaceful atmosphere. The Namibian cuisine in this city is particularly popular. The Kalahari Desert has been deemed the world’s largest sand mass, extending for 900 000 square kilometres. By travelling south after breakfast, you will soon find the red sand of the Kalahari interspersed with semi-arid grassland, shepherd’s trees and acacias. You will most likely find accomodation on a private game reserve, where you will be able to experience the diversity of wildlife found in this region, including oryx, springbok, zebra amongst others. 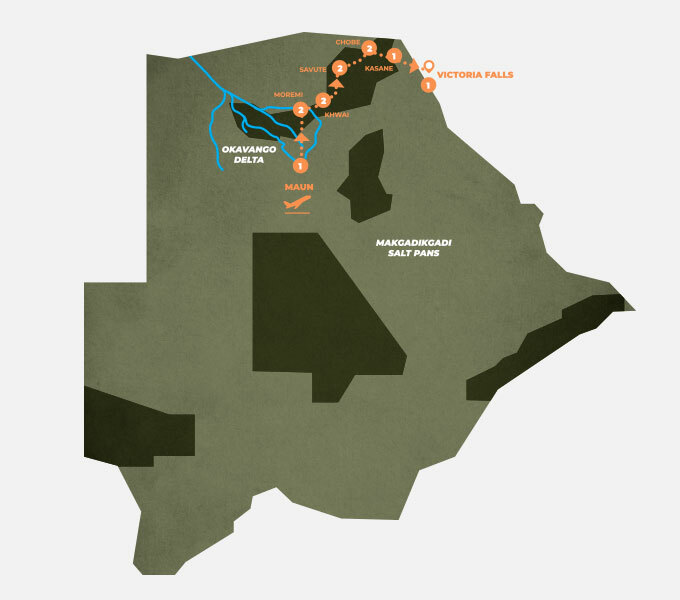 On day three, you will travel further into the south of the Kalahari. Make sure you visit the quiver tree forest at Keetmanshoop, before settling in at your lodge, close to the Fish River Canyon. On day four, after breakfast, travel a short distance to the majestic Fish River Canyon. The Fish River Canyon is Namibia’s longest interior river and is the second most visited tourist attraction in Namibia. 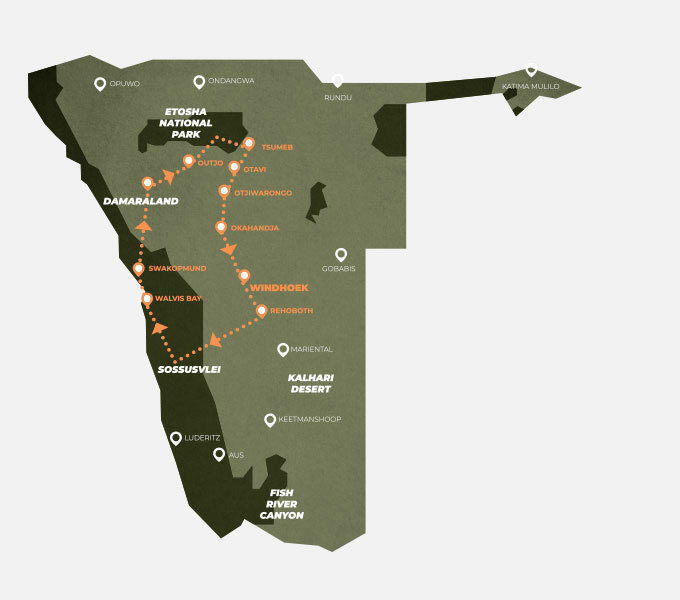 Your journey will continue past Aus and down the vast savannahs of the Great Escarpment to Lűderitz. On this route, you’re likely to spot the wild horses of the Namib. Once you arrive in Lűderitz, you will enjoy a scenic drive to Diaz Point, which marks the site where Bartolomeu Dias landed in 1488. After breakfast, you will be able to explore the ghost town of Kolmanskop, which is the remnant of a once bustling diamond town that flourished in the year 1908-1950. Continuing north, your next stop is located on a densely vegetated area, along the foot of the Tiras Mountain. After breakfast, travel along the stretches of grass plains, while exploring the huge mountain ranges, right into the area of Sossuvlei, where your lodge will be situated. You have the option of visiting Duwisib or enjoying the leisure of your lodge. Wake up early to catch the sunrise over the Namib Desert and its vast plains. You will be able to explore the majestic Namib dunes while you’re here. When leaving your lodge, stop at Sesriem Canyon. This canyon is a 30 metre deep gorge eroded into the desert floor, caused by the Tsauchab river. After breakfast, travel through the rugged passed and via the Welwitschia plains and the Moon landscape to Swakopmund. Swakopmund is known for being Namibia’s playground. The town is situated between the Namib Desert and the cold Atlantic Ocean, and has an array of activities to offer travellers who are passing through. Once you depart from the coastal town of Swakopmund, travel east towards the Erongo Mountain Range. You will travel past Spitzkoppe and have the opportunity to visit the San community who live in that area. You will have the option to spend leisure time at your lodge or visit the small town of Omaruru and its surrounds. After breakfast continue into Damaraland. Here you will visit the World Heritage Site Twyfelfontein, and an open air art gallery that’s home to over 2500 different Bushman rock engravings and paintings. In the vicinity of Twyfelfontein, you will be able to visit the traditional Damara village and its people. 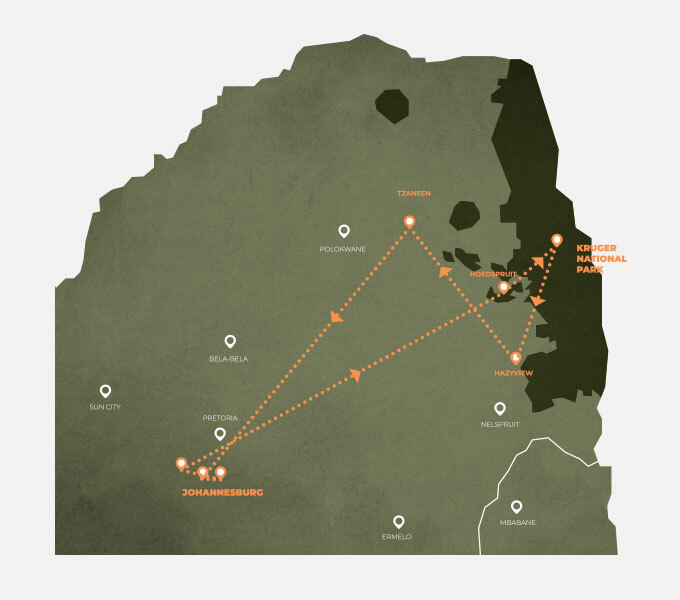 On this route you have the option of visiting a traditional Himba village and meet the indigenous people. The Himba are very traditional and have a strong sense of values and culture. They are known for being one of the last truly nomadic tribes in the world. Further north you will find the Etosha National Park, which is home to over 114 different animal and 340 different bird species. Enjoy and entire day filled with game driving in Etosha National Park. Make sure you leave the park shortly before sunset. The next day, after sunrise, you’re welcome to drive through the park again, where you will be able to site more wildlife. When leaving the Etosha National Park region, make sure you travel through the main agricultural and cattle farming region of Namibia, Tsumeb. Here , you will be able to visit the local mining museum and learn more about a few artefacts from the surrounding areas. At your lodge, you will have enough time to explore the diverse wildlife via scenic walk or guided tour. This route takes you between high mountain ranges leading back to the capital city of Windhoek, where your tour ends, with a breakfast. Your journey starts here and leads you deeper south into the heart of the Namib Desert, where you’ll find the most awe-inspiring landscapes and dunes. Once you arrive at your lodge, near the entrance to Sesriem, the remainder of your day can be spent at leisure, a late afternoon walk or you could take part in the optional activities offered by your lodge. After breakfast, travel through the Namib Naukluft Park to the coastal town of Swakopmund, situated between the Namib Desert and the Atlantic Ocean. Here, you can visit the Welwitschia plains and the moon landscapes surrounding it. Swakopmund has various adventure activities on offer, including scenic flights, dolphin cruises, quad biking, dune-boarding or parasailing. We’ve included a half day morning hike into the program this morning so that you can experience a bit of this iconic area. Today you continue going north to the history filled town of Aus. It’s a tiny town filled with history, and on walks in the area you are still able to see evidence of the war that took place between the Germans and the South African national forces. There is also remnants of a Prisoner of War camp. Accommodation is arranged for you at Klein-Aus Desert Horse Inn, which is located just outside the town on the side of a hill, where all the chalets have views of the changing Namibian landscape. On your way to Damaraland you will be able to visit the largest fur seal colony in southern Africa at Cape Cross. The lodge is situated in the heart of the Damaraland, which is surrounded by wildlife. After breakfast, visit the National Heritage Site, Twyfelfontein and an open air art gallery that boasts over 2 500 different Bushman rock engravings and rock paintings. Take a worthwhile detour on your way to the Etosha National Park, here you can visit a traditional Himba village and meet the Himba people. Etosha National Park is best enjoyed in the early morning, where your time will be devoted to the abundant wildlife found here. Within the park, is a parched salt desert known as the Etosha Pan, which is home to the elephant, rhino, leopard and lion. The park’s waterholes are home to a diversity of animal and bird species. The next day will be entirely dedicated to extensive game viewing experiences. After breakfast, travel back to the south into the main cattle farming region of Namibia, where your lodge is situated. The remainder of your day is spent at leisure alongside the pool or deck. After breakfast, travel back through Okahandja to the capital city of Windhoek. If time permits, stop at the local favorite wood carvers market in Okahandja or the craft market in main street. After breakfast, depart from Maun and travel north to the Okavango Panhandle. The driving distance is approximately 4-5 hours. Here, you will be able to enjoy the popular UNESCO World Heritage Site guided tour to the Tsodilo Hills. You have the option to take a Mokoro tour through the Okavango Delta too. After breakfast, you have the option to participate in morning activities offered by your lodge. You will then be transferred to your vehicle to commence your journey. Drive to Camp Kwando, situated in the Zambezi Region. Drive to Kasane, the intersection of four countries (Zambia, Zimbabwe, Botswana and Namibia). You have the option to spend three nights at the Chobe Safari Lodge, and enjoy and optional full day guided tour to the Victoria Falls. There is an array of adventurous activities on offer for guests who enjoy adrenaline, including bungee jumping over the Zambezi River. After breakfast, depart for Gweta, which is approximately a 4-hour journey. You have the option to stay over at Planet Baobab, which is known to be a fun traditionally decorated lodge. Enjoy a guided trip to the Makgadikgadi Salt Pans. After breakfast, travel to Maun, which is approximately a 2-hour journey. Spend your afternoon and evening at leisure. After breakfast, make your way to Maun Airport and return your rental vehicle.